GoPro cameras have always been imposingly compact dinky rectangles capable of capturing some of the most incredible footage the world has ever seen. Add waterproof housing, though, and they become much bulkier. For extreme sports fans, though, size and weight can make all the difference. Mounting a GoPro Hero 4 Black to the end of a ski can affect the balance of the skier, for example, so designing a smaller, lighter camera is one of GoPro’s top priorities. Careless of the new shape the Session is compatible with previous GoPro accessories, even though it was not found that because it is a little thicker it does not have as much travel using the GoPro headstrap it points down slightly more than other Hero 4 cams. There are also a bunch of new accessories GoPro is launching with the Session, such as the Floaty, which, as you might have guessed, helps the action cam float and be easily seen. It also looks quite different to previous GoPros. 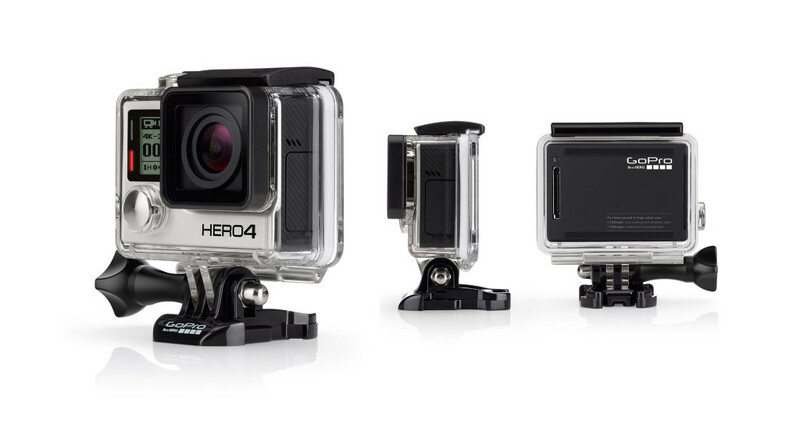 The Hero 4 Session looks like a cube with rounded edges. It’s not the most aerodynamic design, but it has a much lower profile and smaller surface area than its siblings. The first thing to note is that the 8-megapixel Hero 4 Session does not come packing 4K video, unlike its larger, 12-megapixel brother. Instead GoPro has opted for a 1440 resolution with a 4:3 aspect ratio as the highest resolution offered. The GoPro Hero 4 Session manages to provide high-quality video, but in a much neater package than other GoPro models. Colors are bright and vivid, quick sharp movements are captured smoothly and there’s tonnes of detail. The lack of 4K does not appear a major weakness unless you need professional quality footage. The Hero 4 Session also comes with impressive standby time of six days with the Wi-Fi and Bluetooth turned on. GoPro has packed low-energy Bluetooth to the Session, which means it can turn off the power-sapping Wi-Fi until it is needed when you open the app on your phone. You might expect battery life to be compromised in a product so small, but the Hero 4 Session promises to last for two hours of Full HD shooting. The GoPro Hero 4 is an astounding accomplishment and a dream come true for adrenaline junkies who want to capture their exploits with obligatory shouts of ‘Gnarly’ and ‘Stoked’ with ease. At £330 it’s not cheap, though. For those not overly concerned about size and weight the GoPro Hero+ makes more sense as a cheaper way of capturing those perfect holiday moments without ruining your lovely flagship phone.